Prairie High School Principal Travis Drake knows the toll that student absences take on grades and graduation rates among his students. His firsthand knowledge is supported by plenty of research showing a direct relationship between attendance and academic achievement. After all, a missed school day is a missed opportunity for a student to learn, and if a student falls behind, it's a challenge to catch up. That's why Prairie, as well as other schools in the Battle Ground Public Schools district, have made it a part of their School Improvement Plans to improve student attendance. 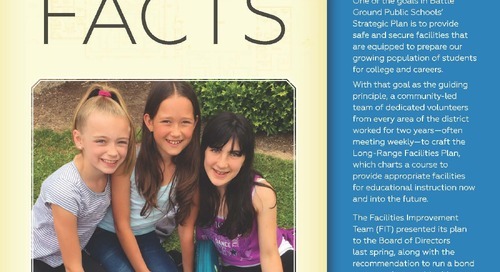 School improvement plans identify the goals and strategies–including attendance, discipline, and community engagement–of each school in the district. School staff collaborate on the plan for their school each year and then present it to the School Board of Directors for approval. 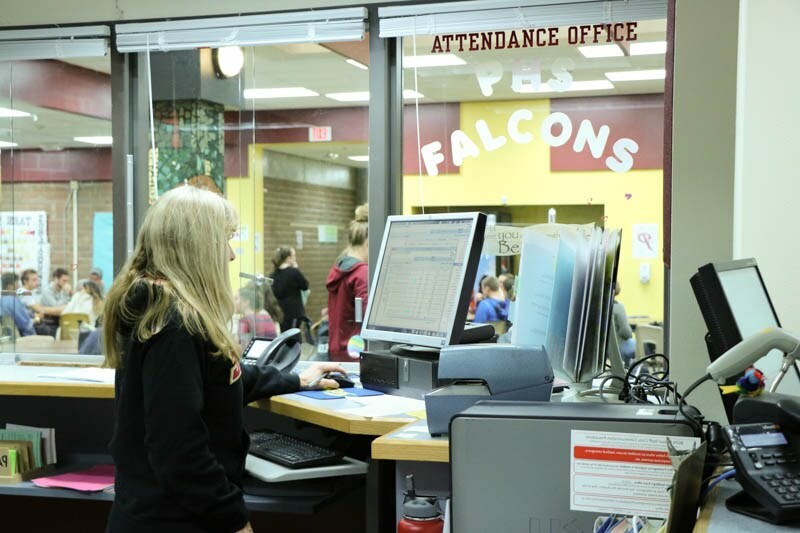 At Prairie High School, providing student support is a huge factor in improving attendance rates. "When students are having issues with attendance, they often need someone to help identify problems and provide the support that will help get them back on track before they feel like they can't be successful," Drake said. When students miss a certain amount of class time, it signals a conference with a counselor or administrator to get to the heart of the student's attendance issues and help provide support. "There can be so many factors that cause absences: relationships with other students, personal illness, sick parents or siblings, having to care for siblings when parents are at work, anxiety. It's up to us to help," Drake said. The focus on attendance is also important in the early grades, where students can learn academic habits that will lead to success. Students who attend school regularly in the primary grades have a greater likelihood of reading at benchmark by third grade and beyond, while students who fall behind by third grade might have a difficult time catching up, affecting their chances of graduating high school on time. "It is critical that students at an early age acquire the necessary skills that will carry them into college and careers," said Pleasant Valley Primary School Principal Mike Michaud. "This includes developing a good attendance habit that will contribute to a solid foundation of skills in reading, writing, and mathematics." Nationally, one in 10 kindergartners and first graders are chronically absent, defined as missing two or more school days per month, or roughly 10 percent of school days in an academic year. "Study after study shows that students who don't show up regularly at school don't succeed," said Michaud. "When a school community offers a warm and welcoming environment, students usually attend school and increase their chances of academic and career success." 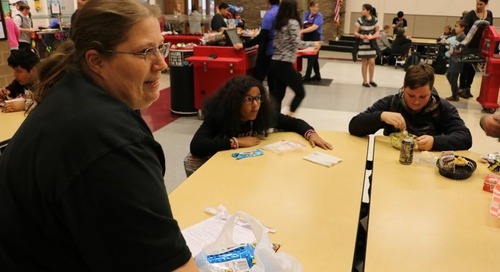 "The most vital piece in getting students with attendance issues back on track is providing them with a connection to the school," said Angela Allen, the district's director of instructional leadership for secondary education. "It all comes back to the culture of the classroom and the school. Students can't help but wonder, 'Does the teacher care about me and respect me as a student in their class? Is what I am doing in class important and relevant to me?' It's really important to continually look at the needs of the students in the classroom to keep them engaged." Regular, meaningful communication with parents and community is also essential to improving student attendance. "It is a priority for us to send a clear message that going to school every day, on time, is important, and to provide support to families that need it," Michaud said. Parents can help at home by establishing routines for completing homework and getting adequate sleep. Parents are also encouraged to keep the lines of communication open with their children to find out if they need parental support. Parents should contact their child's school to get help with an issue and also to inform the school about the student's reason for an absence. "If parents, teachers, and staff work together to support students, then we can solve absenteeism before it leads to academic problems," Allen said.